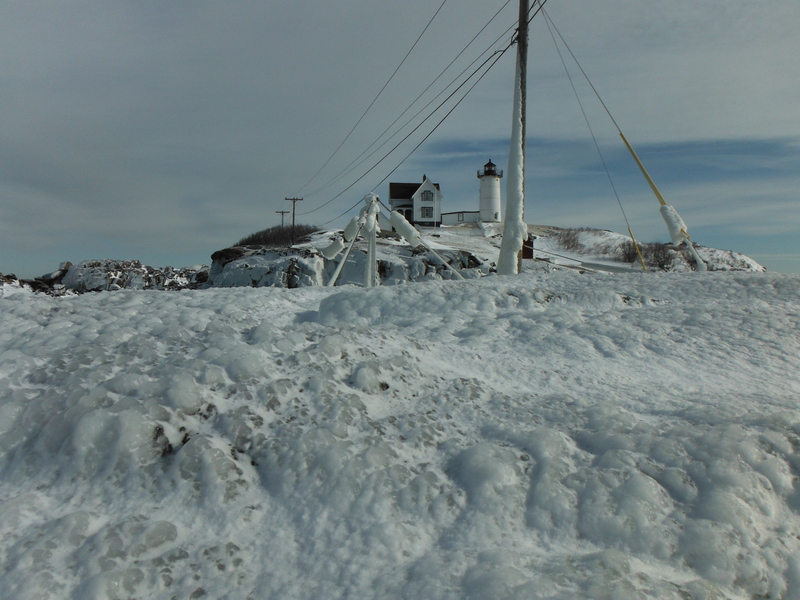 I wanted to check out what the storm systems had done to the coast so I drove down to Cape Neddick near where we used to live in Kennebunk. 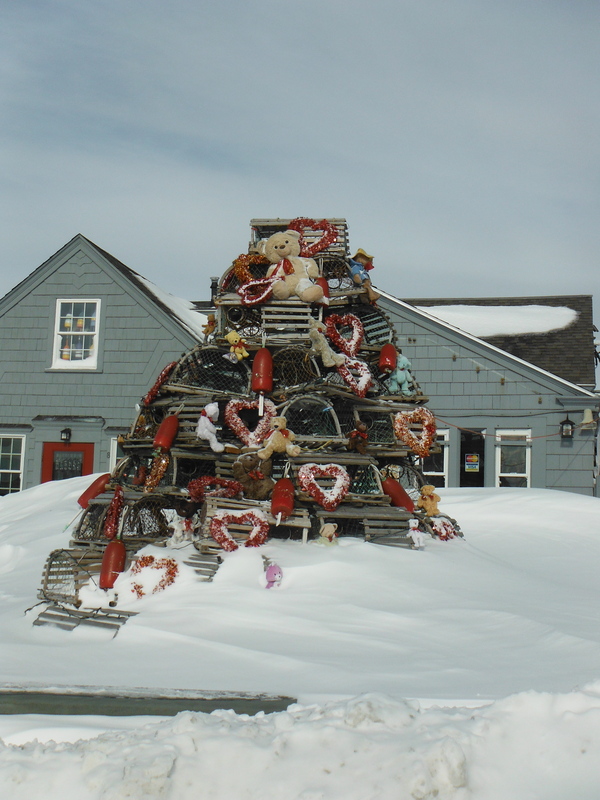 As I headed out to the lighthouse I was greeted by this cool lobster trap Christmas tree. Now adorned with some pretty creepy Valentine’s teddies. It looks like some sort of Care Bear torture system to me. Here are some closeups. What do you think? 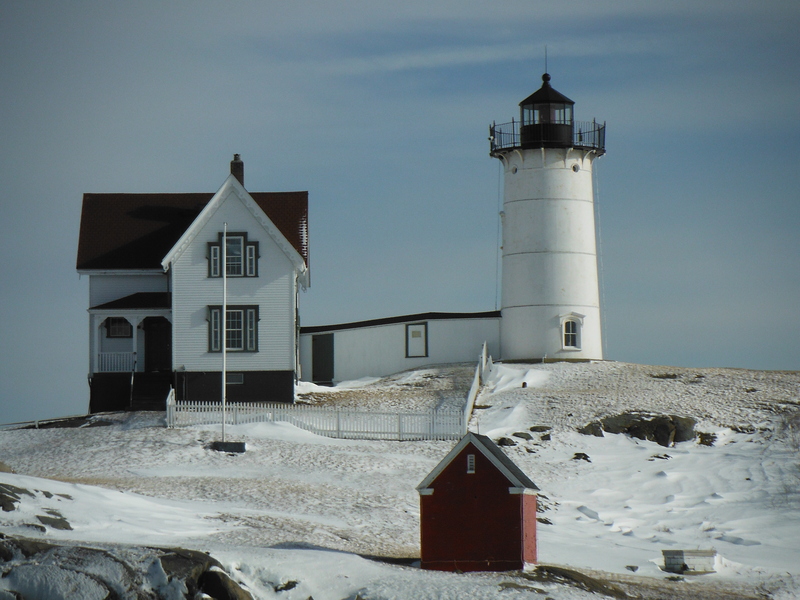 The sea spray whipped by the winter wind, froze onto the rocks in the most peculiar way. Up close they are something else. There is a narrow channel that separates the little island with the lighthouse from the mainland. 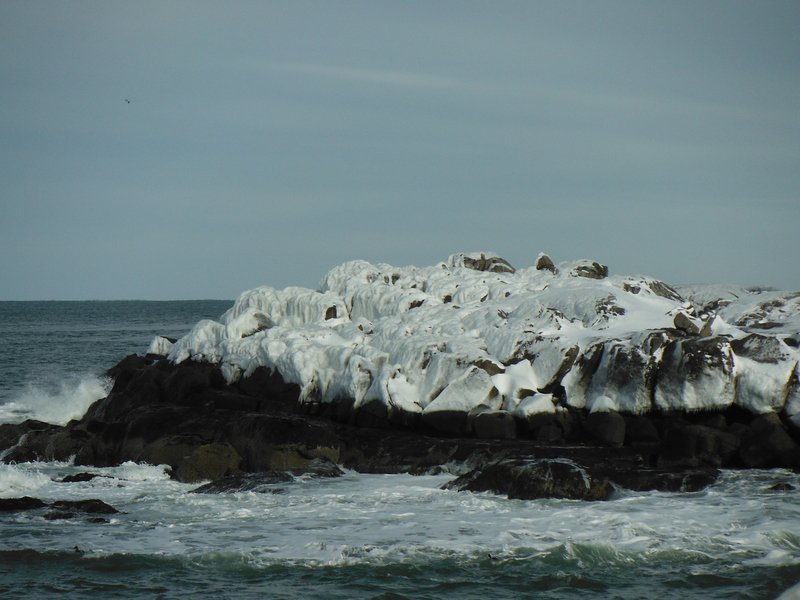 The rocks out in the breakwater looked like frosted oatmeal cookies. 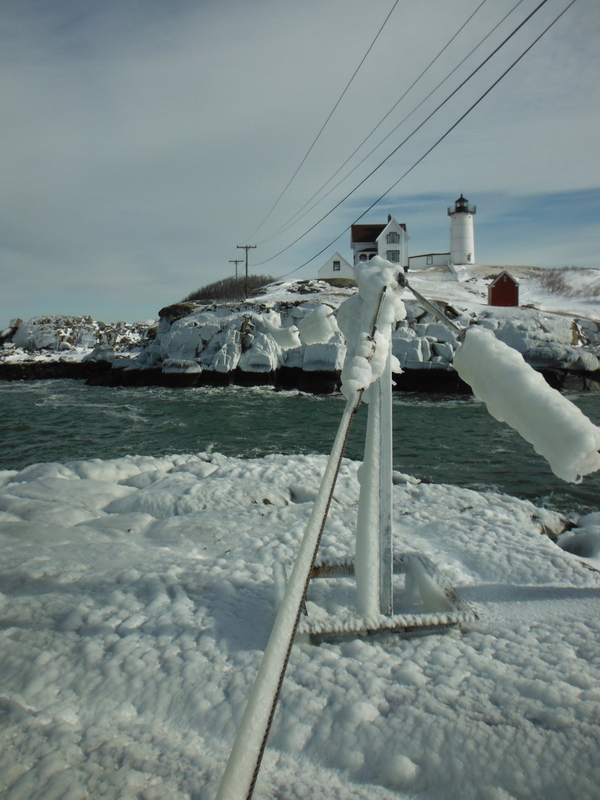 The lines that bring the little outpost power were caked with almost a foot of ice. It was as cold as it looked so it didn’t take long for me to be back in the car. It might be cold but it is beautiful. That is just epic. 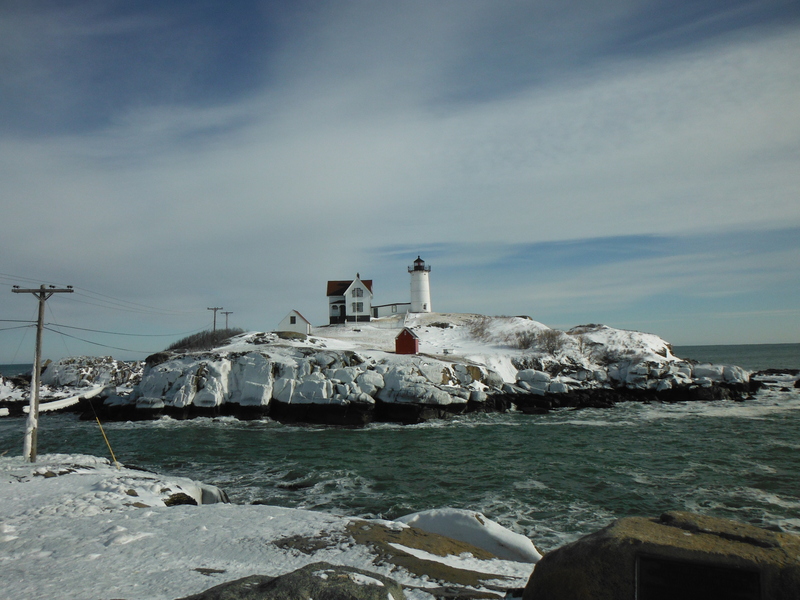 I actually really miss the Maine winters. I live in Oregon now, and it’s been absurdly mild. Most of our weather thus far would barely classify as a cold October day in Maine. Everyone warned me about winters when I moved but I am still utterly fascinated by all the different ways things can freeze. I’m a icicle fanatic. My sister lived in Portland for a while, Oregon is not too shabby. Also not very snowy 🙂 Be well!